Japan is the land of long traditions, where hundreds of years of accumulated knowledge and experience are passed down from master to apprentice, from teacher to pupil. From ikebana flower arrangements to martial arts and kabuki theater, each tradition has its own set of rules, procedures and schools of styles. Traditional Japanese knives were originally derived from Japanese sword craftsmanship. The techniques have been handed from generation to generation and perfected over time. A sharp blade slice through ingredients effortlessly, but a dull blade will damage the cell walls of ingredients, altering their texture and flavor. For example if one tries to chiffonade basil with a dull knife and it will turn black almost instantly. With a thin sharp knife, the same chiffonade will retain its vibrant green color for hours or even days. The single-edged blade is a unique feature of traditional Japanese knives, which is directly linked to Japanese cuisine and history. 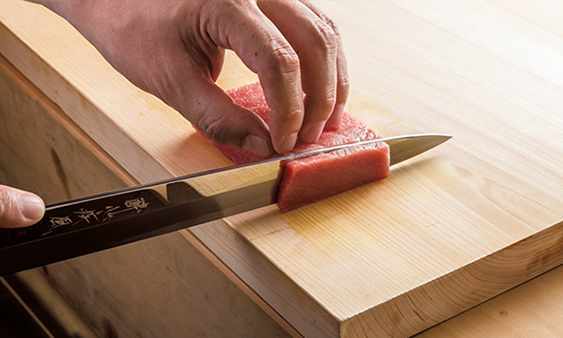 Traditional Japanese cuisine aims to preserve and accentuate the true flavors of fresh and seasonal ingredients, making a sharp knife is essential to this process. 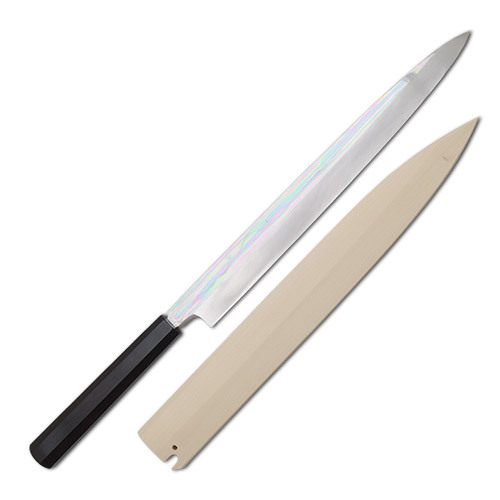 The takobiki is a variation of the yanagi and is used to slice straight-cut sashimi. 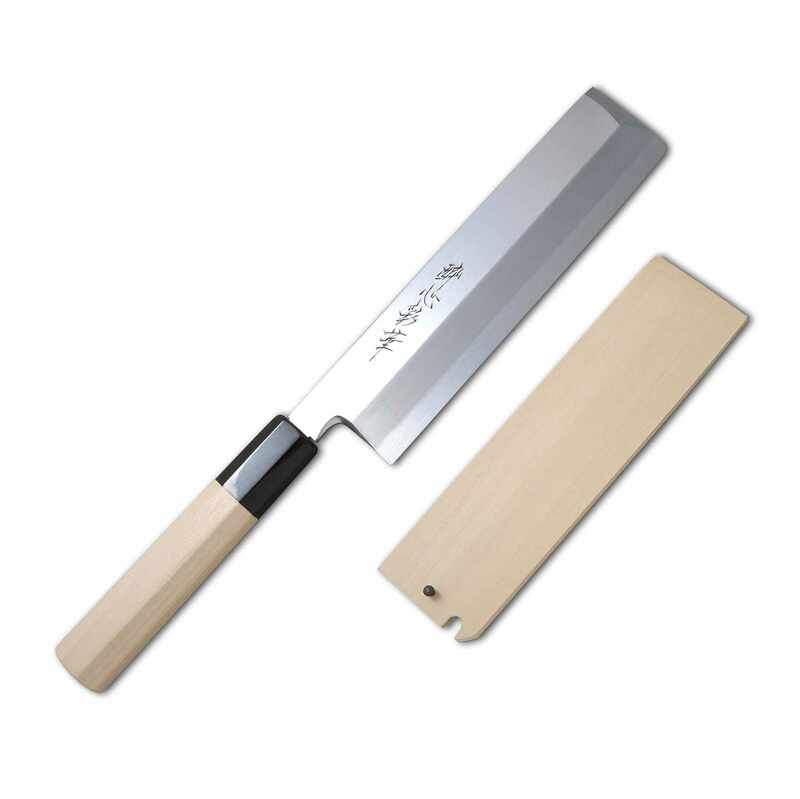 It’s thin body makes cutting thin slices of fish easier than the yanagi. The blunt tip and balanced weight works well on difficult ingredients such as octopus, from which it gets its name. Originated in Kanto (Tokyo) region. The Fugubiki is a traditional Japanese style fish slicer, similar to the yanagi. ‘Fugu’ or blowfish is traditionally served on a painted plate, and cut extremely thin so the design on the plate can be seen through the sliced fish. 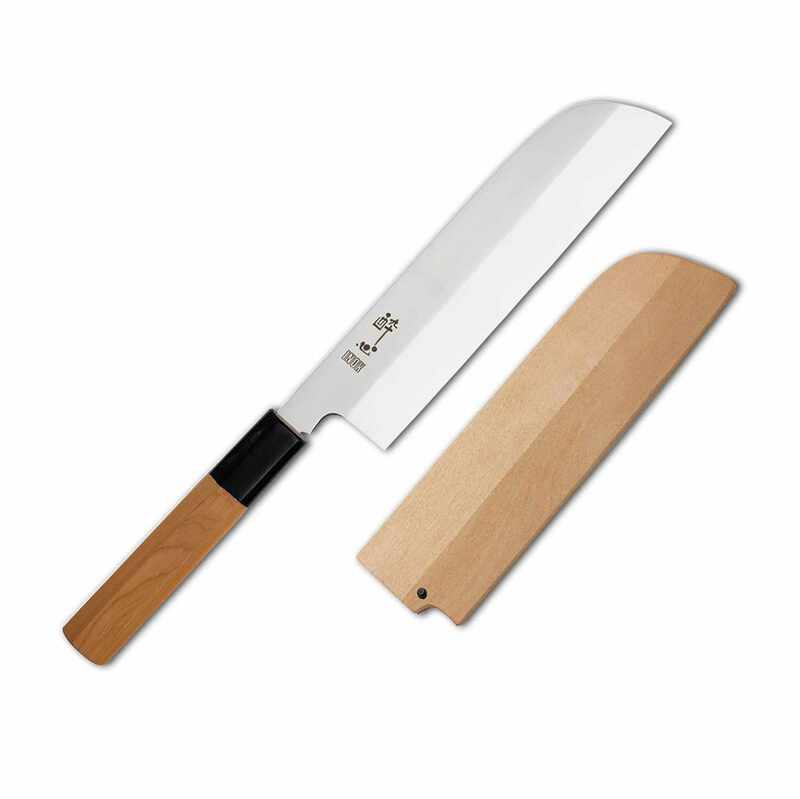 The Deba is often used in the Japanese fish markets and restaurants that work with whole fish, because it is designed to behead and fillet fish without damaging the fish. 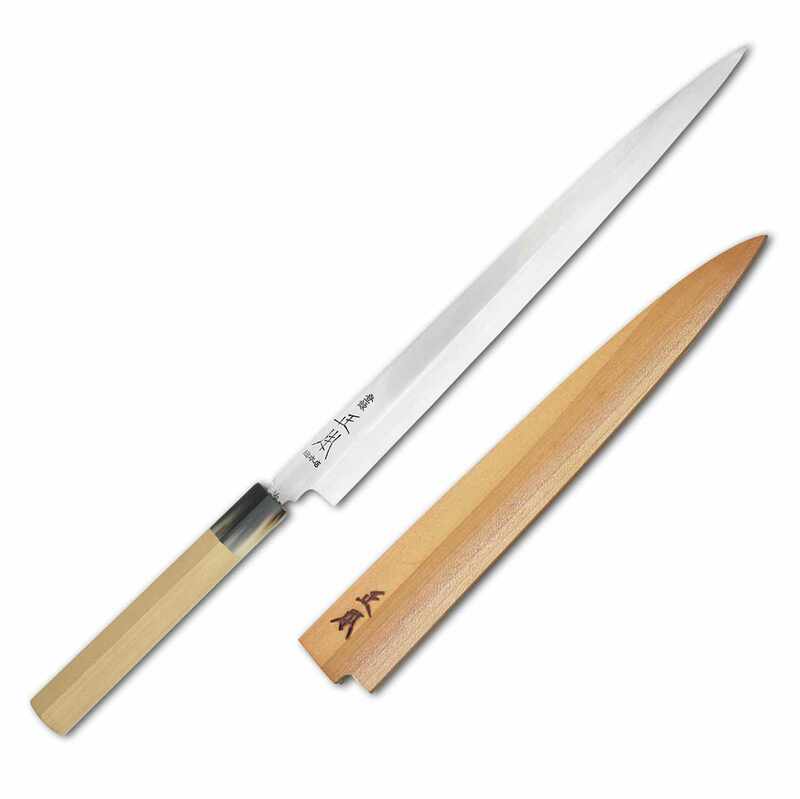 Although many use the deba on other meats, the deba is not intended for chopping of large diameter bones nor should it be used by slamming down the knife like a cleaver.Originated in Kansai (Osaka) region of Japan. There are two classes of Japanese knives based on the materials and methods used in their crafting. 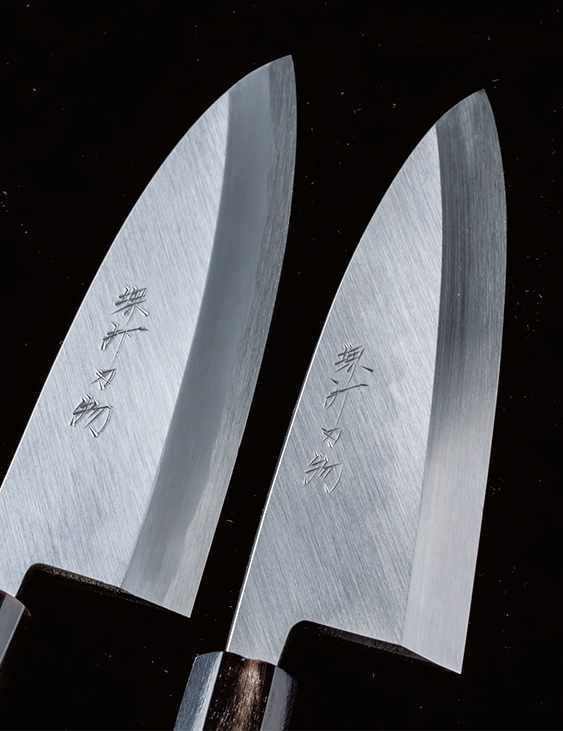 They are honyaki and kasumi both honyaki and kasumi knives can be made with either ao-ko or shiro-ko steels. Each classification has its own advantages as well as difficulties. Kasumi means “mist” which refers to the hazy appearance of the soft iron body of the blade, in contrast to the glossy appearance of the carbon steel. Craftsmen forge kasumi knives by joining a piece of soft iron with a piece of carbon steel. After forging, hammering, and shaping, the carbon steel becomes the blade’s edge. The soft iron portion becomes the body and spine of the blade. This reduced brittleness and makes sharpening easier. 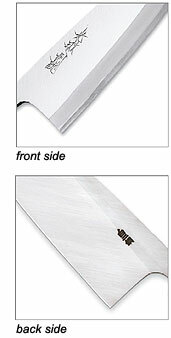 Kasumi knives are much easier to use and sharpen than honyaki knives, but their edge retention is shorter. Hongasumi knives are high-grade kasumi knives. They are often made of higher quality materials, paid special attention to and more steps are involved in the forging, tempering, and finishing processes. Layered steel (Damascus steel) is becoming increasingly popular due to its added benefits and attractive appearance. To create these blades, high carbon steel is layered with soft iron then forged and hammered. Among the kasumi knives, layered steel blades have the longest edge retention. Honyaki (or "true-forged") knives are constructed entirely out of one material. 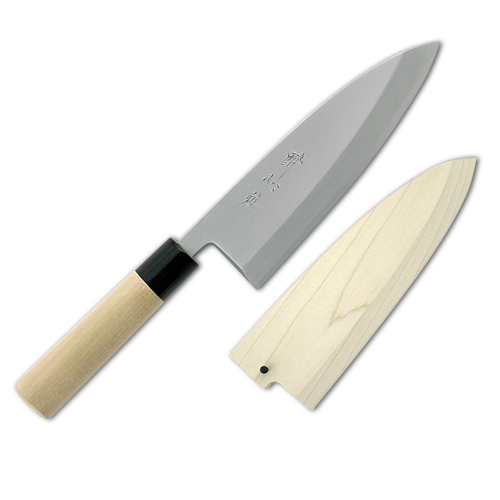 Honyaki knives have the greatest kirenaga, or edge retention within Japanese knives. 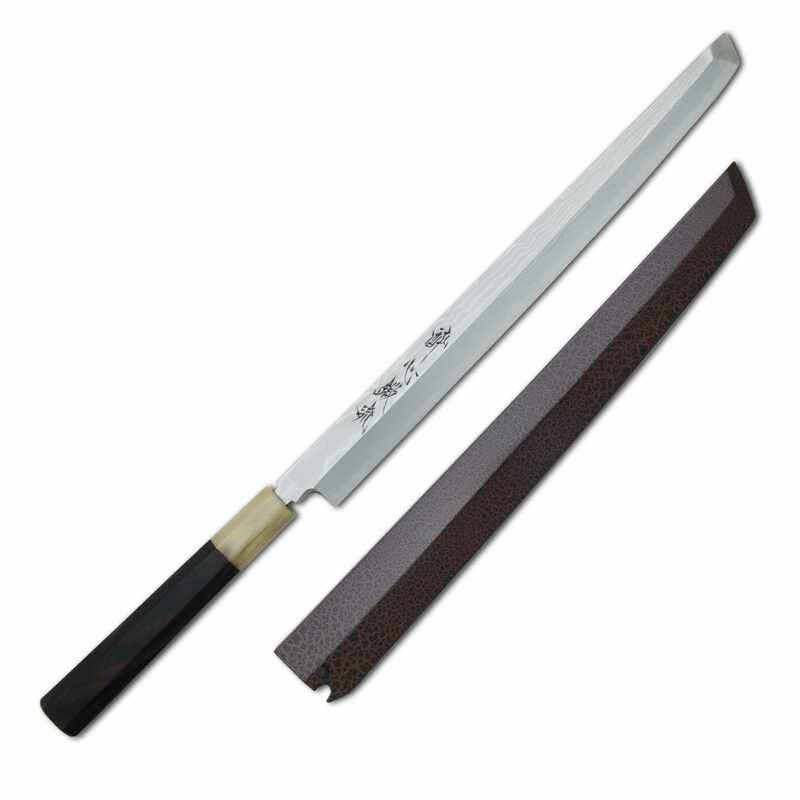 However, because the steel is so hard, honyaki knives are harder to sharpen and more prone to chipping, cracking, or breaking if used improperly. Craftsmen require a great amount of skill to forge honyaki knives, and chefs need a lot of experience to use and care for them.